Even if you are not partial to watching slow-motion and/or analysis sports videos uploaded in the popular video sharing platforms, you’d definitely appreciate the technology that allows for such formats to exist, and be made available to the rest of the world. The magic behind these successful uploads are video analysis software. May we interest you in 10 of our current favorites? V1 Pro 2010 version is an upgrade of V1 Pro 2009 and it really is much better in all areas of performance. There are many useful features to this software, but many will appreciate the 90 Degree Rotation feature. If you need to instruct students or peers, the Live Record function allows you to present a live stream in comparison to a pre-recording. And you can even post automatically to social networking platforms. The CinePlex system may be used for both recording, file editing and tracking. It has the ability to synchronize video files with neutral files. This can then be subjected to another level of analysis. The two components of this program are CinePlex Studio and CinePlex Editor. This was particularly developed for the use of sports coaches. This is very useful during training periods for giving feedback and analysis of an athlete’s performance with visual feedback. Gone are the days when a coach resorts to mimicking or drawing stick figures, or just flailing one’s hands in frustration. Coaches and athletes are now able to communicate better. And of course, performance enhancement in the sport is the ultimate outcome. 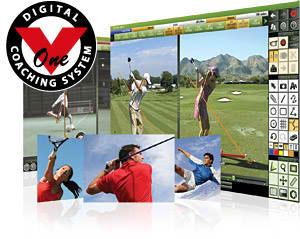 Siliconcoach is currently one of the most respected companies providing video analysis services. The company is a 15-year veteran in the world of sports science, in both education and clinical practice. It is a reliable tool that is also used in rehabilitation and occupational medicine. The many analysis tools that it offers have been used in classrooms in many prominent universities. It has also been collaborating with major rugby and cricket organizations the world over as well as other big names in sports such as Nike. This software is very adept in performing video analysis of human performance. Dartfish ProSuite is great at figuring out the biomechanical factors that influence an athlete’s movement. It is programmed to translate captured movement into data that would be helpful in identifying areas that need improvement, or areas that have improved upon completion of a training program. 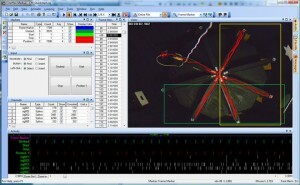 Contemplas motion analysis is an efficient tool for use in gait analysis and running analysis, for starters. Templo is their most recent forerunner in 2D gait analysis and may be used to its utmost potential by experts in physical medicine, sports medicine, and biomechanics. This software has a huge advantage over others in that it is packed with state-of-the art tools and an amazing array of functionality. Let’s start with its dual camera capture. And then, we can move on to its automated functions, drawing tools, and synchronized players (eight enough for you?) The output of this software may be used by experts in different fields to recommend activities to improve performance in certain sports. Tracker is designed for physics education. And it comes in a number of languages. 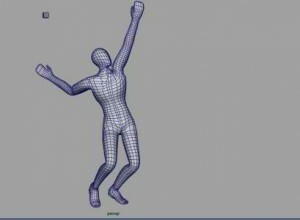 With that said, its basic feature is to combine computer modeling with videos. If you are even remotely confused, help is available to beginners. So, what does it do? This software has manual and automated tracking capability, and then some but we’re not here to explain the physics of movement. That is what Tracker is designed to do anyway. Sports Motion is a sports training software that provides accurate motion analysis. The data produced by this software can be used in training to enhance performance. This program is currently used by physical therapist, sports medicine professionals and team coaches to improve their sport. Analysis of human biomechanics is what Quintic is all about. Not many can stake claim to expertise on the subject, but it is a prime center for video analysis and sports biomechanics analysis. The state-of-the-art software packages used by the expert Quintic team encompass the areas of sports, biomechanics and coaching. Video analysis software devoted to human performance is not merely a popular trend. It has now become a necessity for athletes, scientists and educators. Contemplas’ TEMPLO is the best motion analysis software in my opinion. I would recommend checking out http://www.zflomotion.com to learn more about what it can do – including integration of a/d devices like EMG, force platforms, and more!